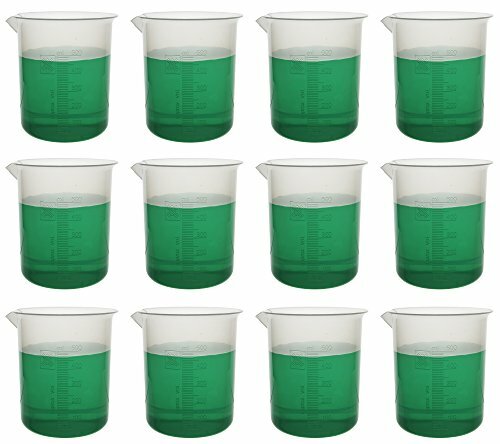 The pack of 12 500mL polypropylene euro design beakers provides ideal tools for the mixture and transfer of solutions. The 10mL graduation markings make measurement of liquid substances easy and accurate. The tapered spout allows for easy pouring of liquids.